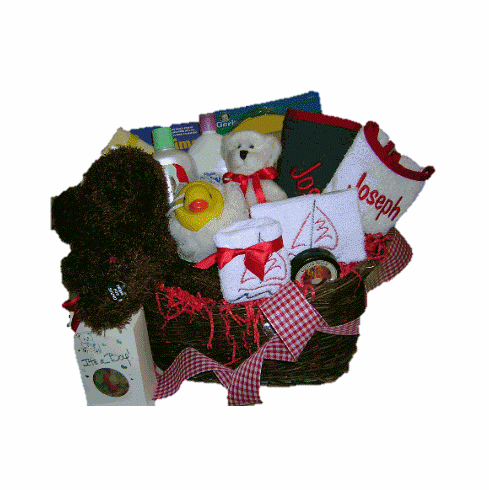 descriptionBaby Gift Baskets- New Born Gift Baskets Boston MA. An elegant selection of beautiful baby stuff toys, baby embroidery blanket, and baby skin care products, This gift basket is unique and baby friendly. Packed with lot of cool stuff for both boy and girl. Red, Baby Pink, Yellow, and Baby Blue.